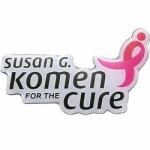 This morning I am participating in the Susan G. Komen’s Race for the Cure. 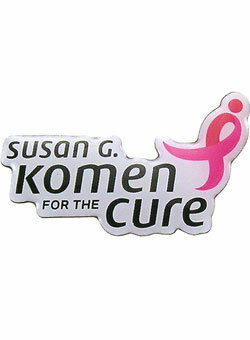 It has been my privilege to support this cause and all the amazing women and men that are fighting cancer every day. We all know someone, have loved someone or have experienced this battle ourselves. We must provide courage and compassion to support each other and on a day like today we add enthusiasm and charisma as well. I am proud of my community for running (no pun intended) such an amazing event every year. One of the goals of the I AM THE CURE campaign this year is to “start the fight by living right!” It only makes sense that I challenge myself today to make a healthy PINK meal. I think we’ll call it Crock for the Cure. Maybe someday I’ll run my own fundraiser along these lines, but for today, I’d like to provide you with an easy colorful recipe. Enjoy! Start by coating crock pot with a non-stick spray. Place salmon steaks side by side in the crock pot. Drizzle with olive oil, peppercorns, salt and fresh dill. Scatter sliced red pepper on top. Pour wine around edges of fish, but don’t rinse off the seasonings. Poach for 2 hours on high. To continue the theme, mix 1 T. softened cream cheese into 1/2 c. cocktail sauce and serve with the fish. It will be pink and spicy and will complement the opaque color of the fish.